The Miami Foundation and partners will maximize the community’s generosity by making a bonus gift for every donation between $25 and $10,000 received on November 15th through givemiamiday.org. Please register below to pledge that you will support BMe Community and receive notifications. 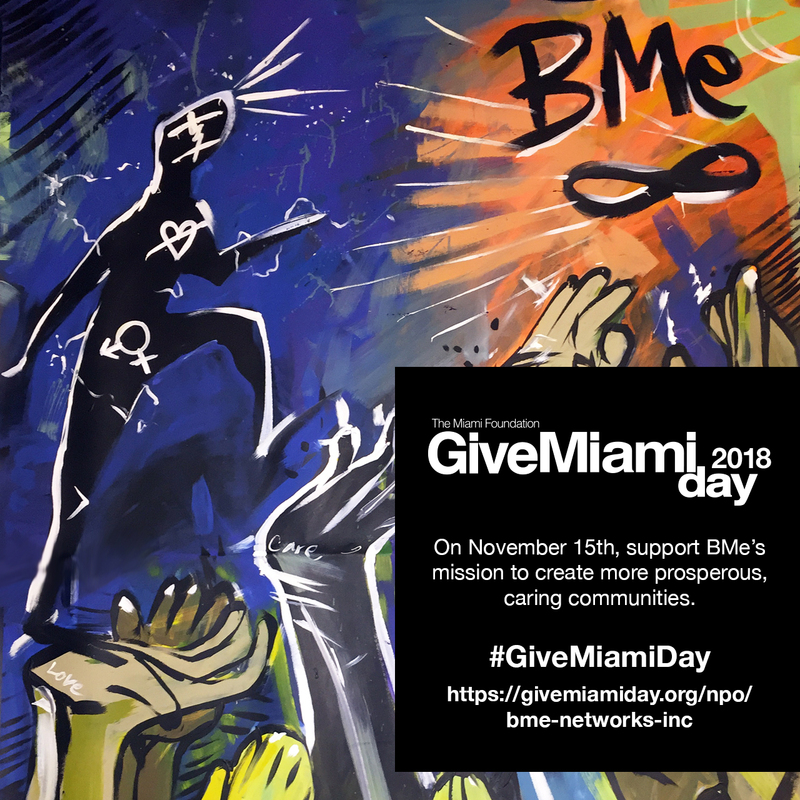 PLEASE NOTE: You will need to return on November 15th to submit you donation to the referenced link: https://givemiamiday.org/npo/bme-networks-inc.